The softest dress pant you&apos;ll find - anywhere. 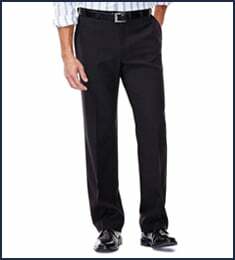 Our Mynx Gabardine Dress Pants offer comfortable sophistication and care-free style. 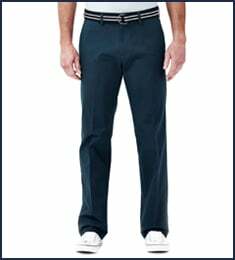 No-iron fabric and a permanent crease keep these slacks free of wrinkles and ready to wear any day. Mynx Gabardine Dress Pant is rated 4.4 out of 5 by 64. Rated 5 out of 5 by Ruby2Shoes from Love them For years I've been buying Dockers only to have the color fade after 6 months. I'm back to Gabardine and they are great. Also feel nicer than the polyester from when I was a kid. Rated 5 out of 5 by office1 from Great everything Awesome everything (color, quality, lenght, width, fit) .. Buy with confidence. I would buy again. Rated 2 out of 5 by cjmass from Quality has gone down I've had several pairs over the years and have been very happy with them. I recently purchased 4 new pairs and 2 of the 4 had loose threads right out of the package. A 3rd pair had a belt loop come loose its stitching the second time I wore them. I really like the material and how they fit but I'm definitely concerned that they are not going to last. 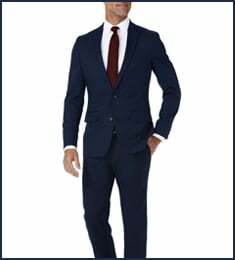 Rated 5 out of 5 by Doug91 from Nice fit and comfortable It is hard to find my size and Hagger has always had my size along with having the best product for the money. 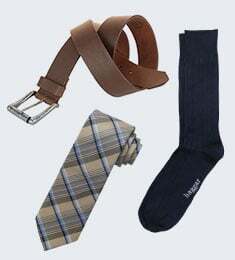 Rated 5 out of 5 by Vjones from Great look, material and fit These fit well and look good. Will order these again - good price.